Throughout one’s life, different forms of love are experienced at varying degrees, but one type of love that is a constant for the sincere believer is the love of the Messenger of Allah ﷺ. So I began smiling, to the point that my head fell into the lap of the Messenger of Allah ﷺ out of joy. We may claim to love Prophet Muhammad ﷺ, to ourselves and others, but let us examine some sure-fire signs that prove the authenticity of our love. We frequently see society around us imitating sports players, movie stars, people of power, and other famous celebrities, out of love for their personalities, hairstyles, clothes, behaviour, or speech. Perhaps the greatest sign of your love for the Messenger of Allah ﷺ is that your life is essentially a sequence of decisions that are guided by your desire to imitate Prophet Muhammad ﷺ. As the famous saying goes, “Your actions are louder than your words”. If you claim to love the Prophet ﷺ, then imitating him is a sign that your claim is authentic. It can therefore be said that the more you sincerely and correctly imitate the Messenger of Allah, the more love you have for him. Action item: Ask yourself: Are my decisions reflective of a believer who imitates and emulates the Messenger of Allah? What do my manners reflect? How do I treat my parents, wife/husband, children, community members, my superiors and employees, Muslims and non-Muslims? When you love someone, you’ll find yourself learning more about that individual’s actions, sayings, and history. Many of the companions used to teach their children about the life of the Prophet ﷺ at a young age, and before many other subjects. Every Muslim that is able to should study the life of the Prophet ﷺ to some extent; his mercy, love, compassion, dedication, speech, exalted manners, his concern for the Ummah, and the hardships he endured in order to fulfil his role of conveying the message of the Creator to the creation. This may entail reading a summarized book of the Seerah, such as “When the Moon Split”, or covering an advanced book or in-depth video series, but ultimately, everyone should try to cover the basics at least once. How can you love someone so much but have no passion to learn more about him? It’s a harsh question that many of us need to ask ourselves, and the reality is that the more love you have for the Prophet ﷺ, the more eager you’ll find yourself in learning about him. An indisputable benefit is that studying the Seerah will increase your love for the Messenger of Allah ﷺ. Action item: If you haven’t yet, study the Seerah on a basic level, alone or with family. If you have studied the basics, then move on to a more advanced and in-depth resource. Prophet Muhammad ﷺ was sent with the greatest and final gift to from the Creator to the creation: the Qur’an. Thus, one sign of love of the Messenger ﷺ is reciting, studying, understanding, implementing, and teaching what he conveyed. The Qur’an is a light for every darkness, a cure for every illness, a guidance for every misguidance, and it was delivered and conveyed by the Messenger that was sent to us for our own happiness and success, in both this life and the Hereafter. Action item: Recite the Qur’an on a daily basis, even if in small quantities, and remember that consistency is key. Include with your recitation a basic study of understanding through authentic Tafseer (exegesis) so that your recitation brings about comprehension, concentration, and implementation. 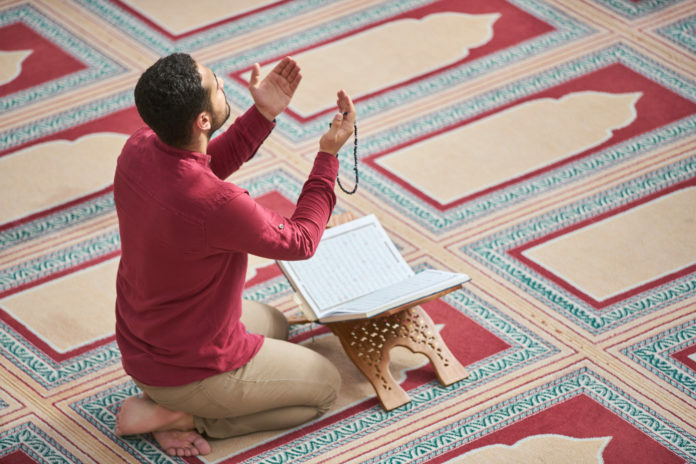 Saying “Allahumma sallee ‘ala Muhammad” in any of its appropriate variations is asking Allah to send peace and blessings and mercy upon the beloved Messenger, and every time you do it, Allah will send upon you 10 times the blessings and mercy in your life [Muslim – “Whoever sends blessings upon me, Allah will send blessings upon him tenfold.”]. Furthermore, every time you send salutations upon him, an angel appointed next to the Messenger ﷺ conveys your prayers to him. [Nasa’i – “Allah has angels who go around on earth, conveying to me the salaam of my ummah.”] Finally, the more you send prayers upon him, the closer you’ll be to him on the Day of Resurrection and the more of his intercession you’ll have on that significant day. Action item: Try to begin the basic habit of sending 10 prayers upon him in the morning and 10 in the evening [Based on the narration of at-Tabaraani, “Whoever sends salutations upon me ten times in the morning and ten times in the evening will be encompassed by my intercession on the Day of Resurrection.” The narration’s authenticity is disputed by a few scholars of hadith, but it has a sound classification according to al-Haythami, as-Suyuti, al-Mundhiri, and others], and increase your habit from there throughout the day and night, especially when you remember him or when his name is mentioned. This includes acts of worship, such as fasting Mondays and Thursdays or praying at night, and countless sunnan, such as using the siwak or wearing white garments. This sign also includes the people he loved and those who loved him, such as Abu Bakr (RA) and Umar (RA), and the Prophet’s wife, Aisha (RA), as well as his entire family and the companions in their entirety. This is a litmus test for many who claim to love the Messenger but believe in fabrications against his beloved and noble companions. When you love someone, you find yourself thinking about them often. The more you love the Messenger of Allah ﷺ, the more you’ll refer back to his life and the more you’ll pray that Allah grants you reunion with him in the Hereafter, in the highest levels of Paradise. Action item: Include in your daily supplications a du’aa for companionship with the Prophet ﷺ. A sign of loving someone is that you want others to know about your beloved, especially when they delivered to you the only means of salvation and success. It’s easy to encourage friends and family to partake in leisure, vacations, or other forms of entertainment; what we oftentimes forget when we’re growing spiritually is to encourage others to grow with us. A believer who encourages others to study the life and teachings of the Prophet ﷺ has some apparent signs of loving the Prophet ﷺ himself. O, Allah! Send your peace and blessings upon your Messenger, his family, and those who follow him until the Day of Resurrection. O, Allah! Grant us true and complete love for your Messenger and his Sunnah and allow us to be upon his path until the day we return to You. O, Allah! Grant us companionship with your Messenger in the highest levels of Paradise!